Pilot Officer Hugh Gavin Fraser died on 1st February 1942 when his Hudson came down at RAF Aldergrove, Co. Antrim. He survived a lucky escape in Australia. Pilot Officer Hugh Gavin Fraser was an Australian airman who had already made big news during World War Two with his involvement in the famous Brocklesby mid-air collision. Pilot Officer Hugh Gavin Fraser (402051) served in the Royal Australian Air Force during World War Two. Born on 9th April 1913, he was the son of Andrew Currie Fraser and Beatrice Irene Fraser (née Biber) of Camberwell, Melbourne, Victoria, Australia. Hugh Gavin Fraser was involved in a notorious wartime incident before his posting to RAF 206 Squadron in the UK. On 29th September 1940, a pair of planes collided in mid air during a training exercise over Brocklesby, New South Wales, Australia. The incident was unusual and gained coverage in many newspapers. The 2 Avro Anson planes locked together in mid-air at a height of 300 metres and both managed to land safely with both crews surviving the incident. While making a banking turn, the pilots lost sight of each other and the planes joined together with a “grinding crunch of metal and tearing of fabric”. Australian War Memorial Photo: P00410.001. 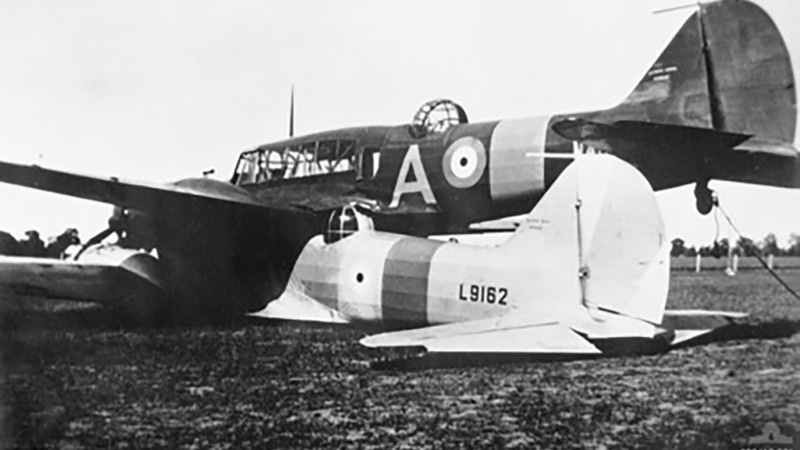 Mid-air collision of two Avro Anson planes on a training flight with No. 2 Service Flying Training School resulted in both planes becoming locked together Pilot Leonard Graham Fuller successfully landed both planes. Public domain photo. Both navigators bailed out followed by Leading Aircraftman Jack Inglis Hewson, the inured pilot of the lower Anson. One of those navigators was Hugh Gavin Fraser, the other was Leading Aircraftman Ian Menzies Sinclair. The pilot of the upper plane, Leading Aircraftman Leonard Graham Fuller, controlled both using ailerons and flaps as well as the engine power of the lower plane. He made a successful landing in a paddock near Brocklesby. Unbelievably, both planes returned to service with the Royal Australian Air Force after repairs. Australian War Memorial Photo: SUK11593. The grave of Sergeant Hugh Gavin Fraser (402051) of the Royal Australian Air Force at St Catherine's Church, Killead, Co. Antrim. 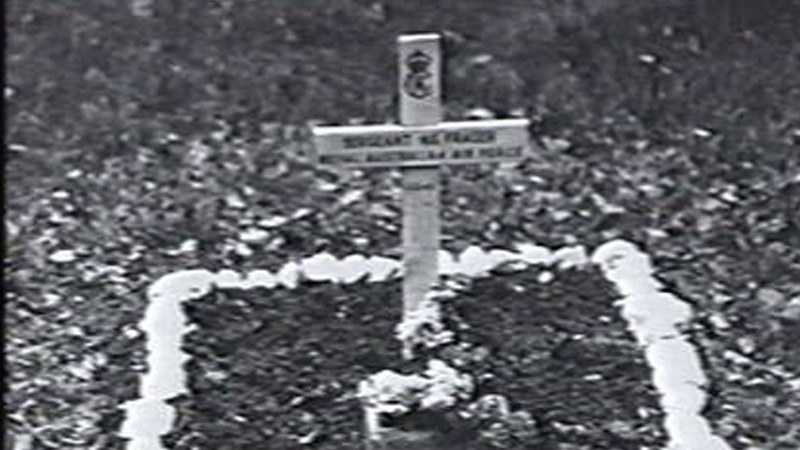 Photo taken in February 1942. Pilot Officer Fraser died on 1st February 1942 aged 28 years old. He was the pilot on Lockheed Hudson AM604 flying with RAF 206 Squadron. The crew took off from RAF Aldergrove, Crumlin, Co. Antrim on a non-operational aerodrome defence exercise. The starboard wing of the plane struck trees near the airfield. The Hudson landed upside down and caught fire on impacting the ground. All members of the crew died in the incident. To the world, he was but one. To us, he was the world. If you enjoyed this post on "Hugh Gavin Fraser", please share with your friends and followers. Flight Lieutenant Hugh Macivor Given from Ballymena, Co. Antrim died on 8th February 1943 while serving in the Royal Air Force with 27 Squadron in India. 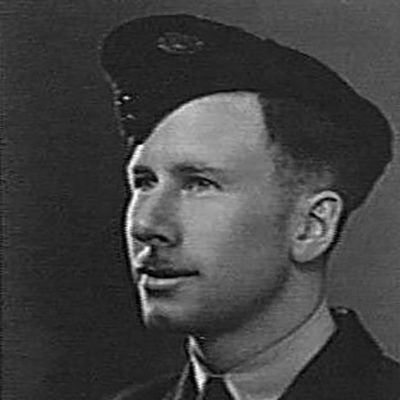 Sergeant John Frederick Nelson served in the Royal Air Force Volunteer Reserve. He died on 7th February 1944 while with RAF No. 1663 Heavy Conversion Unit. The RAF suffered heavy losses on the night of 16th-17th December 1943, known as "Black Thursday". Belfast-born John Thomas Brown was one of many losses. The night of 16th-17th December 1943 was known as "Black Thursday" among those of the Royal Air Force's Bomber Command including men from Northern Ireland. Keen sportsman, Belfast-born James William Brotherston died on 8th December 1942 while training with the Royal Air Force at RAF Montrose, Angus, Scotland.